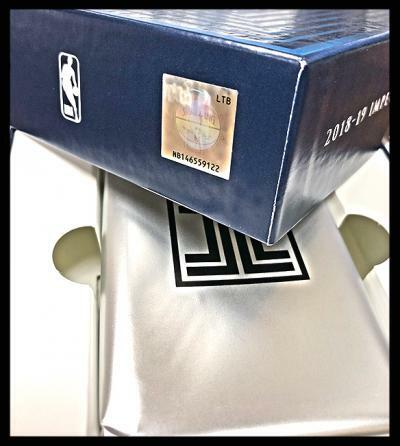 Panini America’s new 2018-19 Impeccable Basketball arrived in hobby shops across North America today boasting a big-things-come-in-small-packages configuration that delivers some of the most attractive cards of the season featuring Impeccable’s undeniably clean designs, and stacked autograph and memorabilia content. Yesterday’s Quality Control Gallery provided an expansive exploration of the product. Today, we’re ripping into three boxes of the product for the must-see Teaser Gallery. On average, each nine-card hobby box of 2018-19 Impeccable Basketball will deliver five autographs and two packs. One pack includes eight cards and the other includes either a Silver Logo, Gold Logo, Stainless Stars or Stainless Stars Autograph card. Enjoy the break and stay tuned to The Knight’s Lance for additional coverage.